With a land mass slightly larger than New Mexico, Norway is home to 6 main ports and roughly 15 standard airports which feed its import/export industry. The main ports for international shipping to Norway are located in Bergen and Oslo. The port of Oslo is Norway’s largest in terms of yearly containers and total cargo. Almost half the population of the country lives within a few hours of the port, so if you are going to be shipping items overseas to Norway or moving to the country, this will most likely be your entry point. We have multiple shipping locations across the U.S from which your goods may depart, however, the majority of the cargo that is shipped to Norway leaves from our east coast facilities located in Miami and New York. Our other shipping locations include Los Angeles, Houston and Savannah. 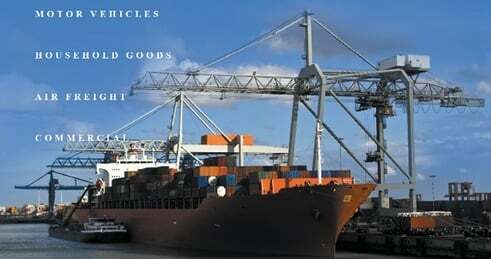 Why Ship to Norway with Schumacher? With over 30 years of experience shipping internationally to Norway and thousands of shipments to the country under our belts, we can transport almost anything via ocean freight or air and ship it. Our areas of expertise include complete household relocation, vehicle shipping, boat/yacht transport and classic car exports and much more. So whether you need a moving service to Oslo that can move all your household goods or one that can ship your cars and other vehicles to Norway, our professionals can make the process easy on you. Where Do Your Goods Need to Go? The majority of international shipments and relocations to Norway are either to Norway’s capital city, Oslo, Bergen or Stavanger. However, our transport routes reach other Norwegian cities and towns. The Northern lights are a common site in northern Norway. During summertime, it doesn’t get dark in the north. 24 hours of daylight! It’s not uncommon for someone moving to Sweden to actually work in Norway.